(Amesbury MA) Amesbury coach Jacqui Water told me after today’s game that her team had done a lot of extra hitting lately. 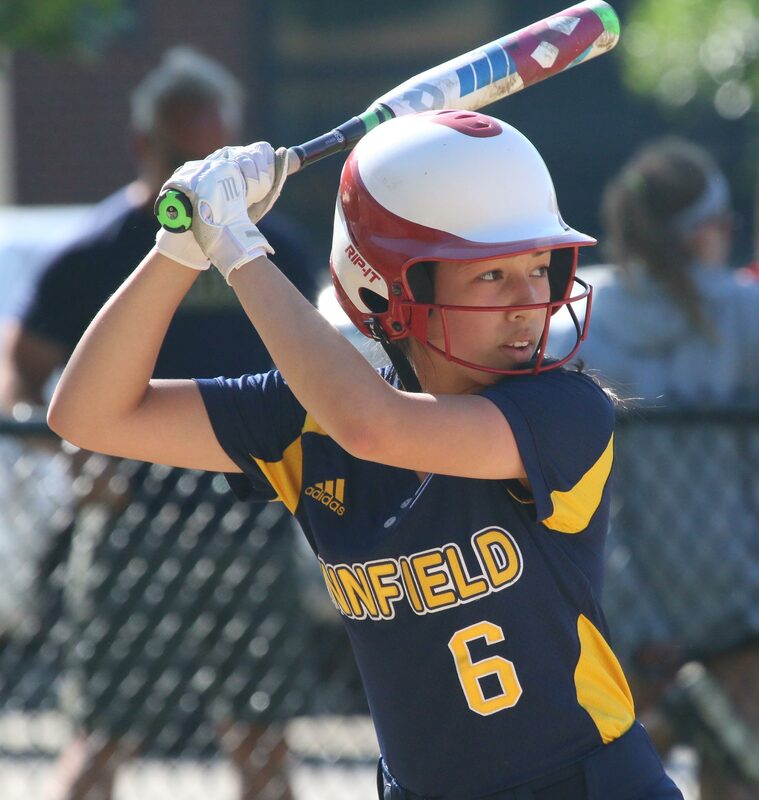 That information might help explain the hitting barrage the Indians unleashed on Lynnfield during a 13-1 mercy-ending D3 North quarterfinals game on sunny Tuesday afternoon. 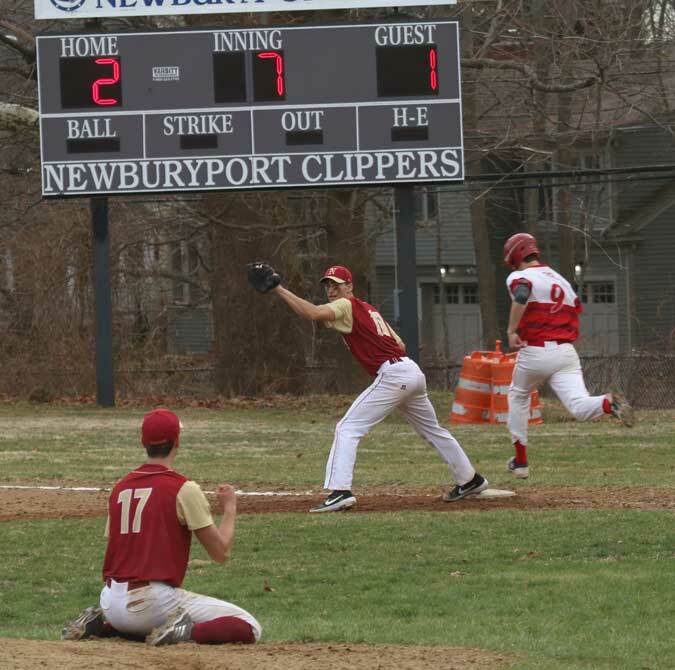 The game ended in the Amesbury 6th when the Indians took a twelve-run lead. Today’s tournament contest got away from the Pioneers early. Amesbury had ten runs on ten hits after just two innings. 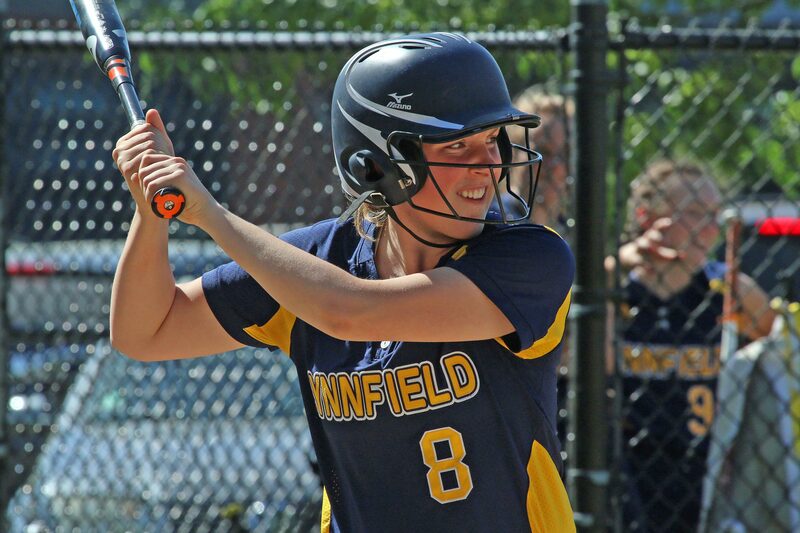 Unfortunately, for Lynnfield, their hitting was held in check by senior Hayley Catania. Hayley allowed only four hits and struck out nine batters. During one section of the game she retired eight in a row. The Indians season continues as they advance to the D3 north semis on Thursday (3:30PM) at Martin Field in Lowell against St. Mary’s. 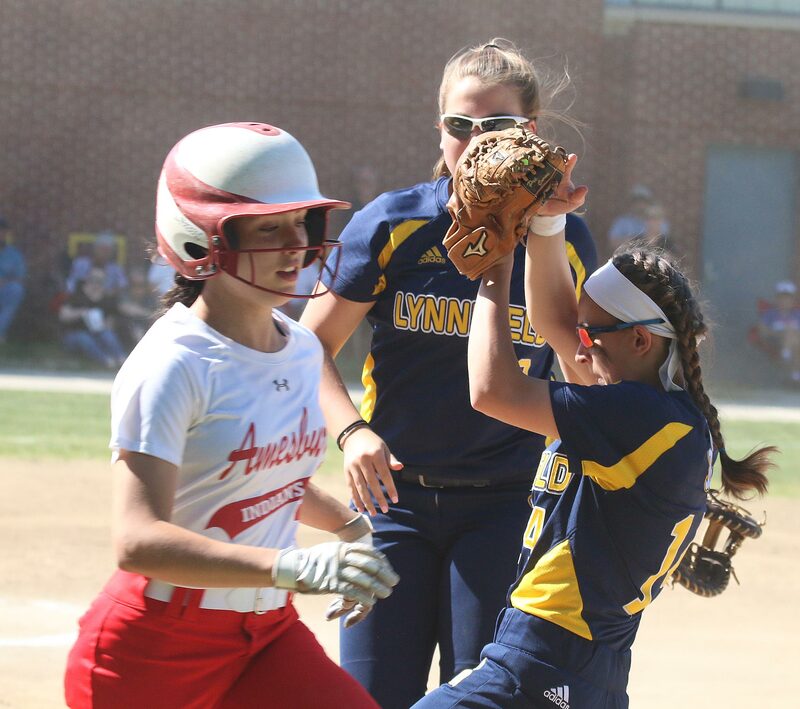 On May 2nd the Pioneers had rallied with three runs in the bottom of the seventh inning to defeat Amesbury, 7-6, at Lynnfield. 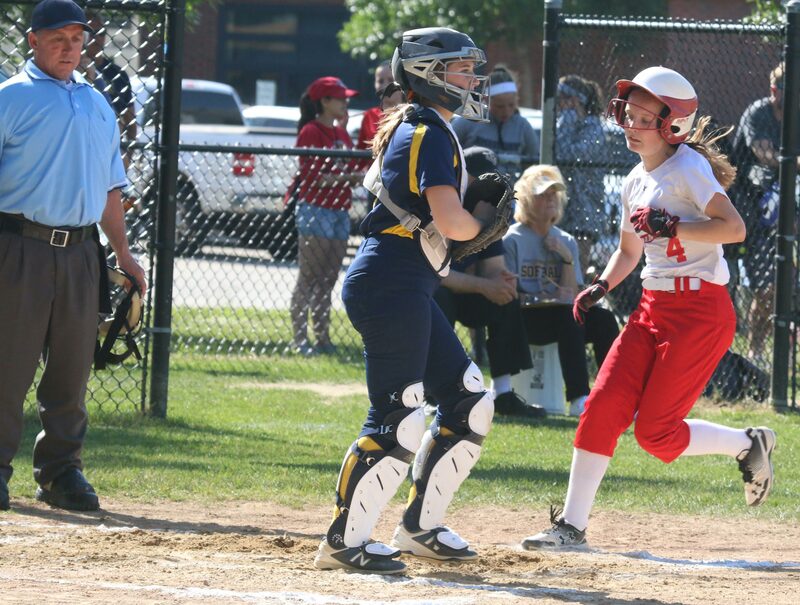 The Pioneers best scoring chance was in the sixth when they loaded the bases with two outs. 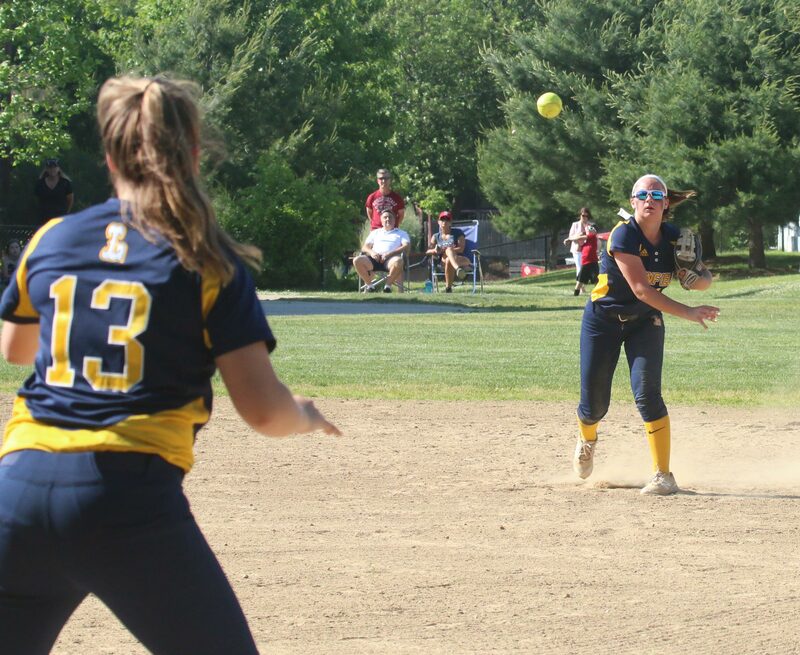 Hayley Catania, however, struck out Jillian Babine to end that threat. Stranded baserunners were rare for Amesbury. They stranded just three in six innings. The Indians had homers in each of the first three innings. Sophomore Emma Catania hit her HR into the gap in left center in the first. 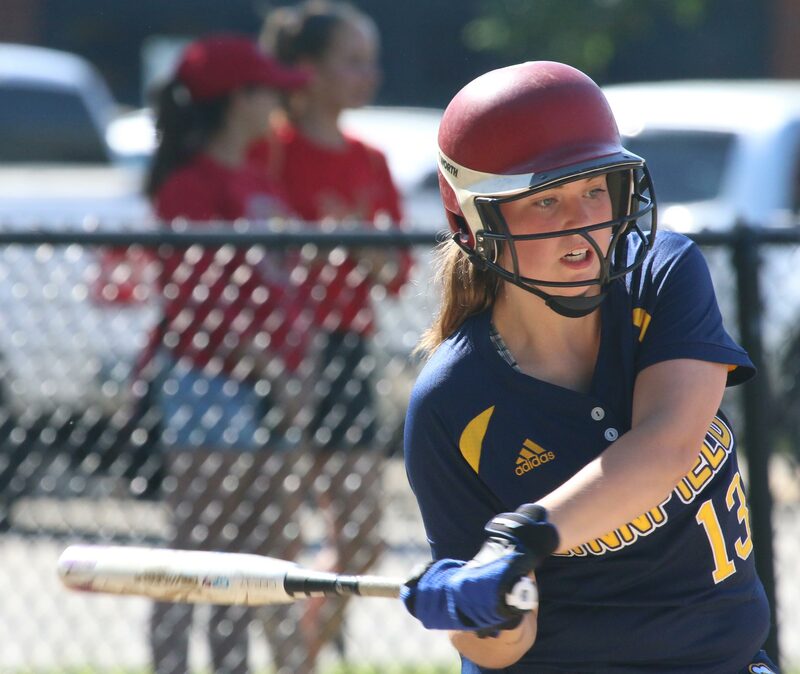 Freshman Julia Campbell hit an opposite field liner that lasered past RF Gabby Langone in the second. Senior Hayley Catania also hit into the left-center gap and the ball rolled nearly to the stadium wall in the third inning. 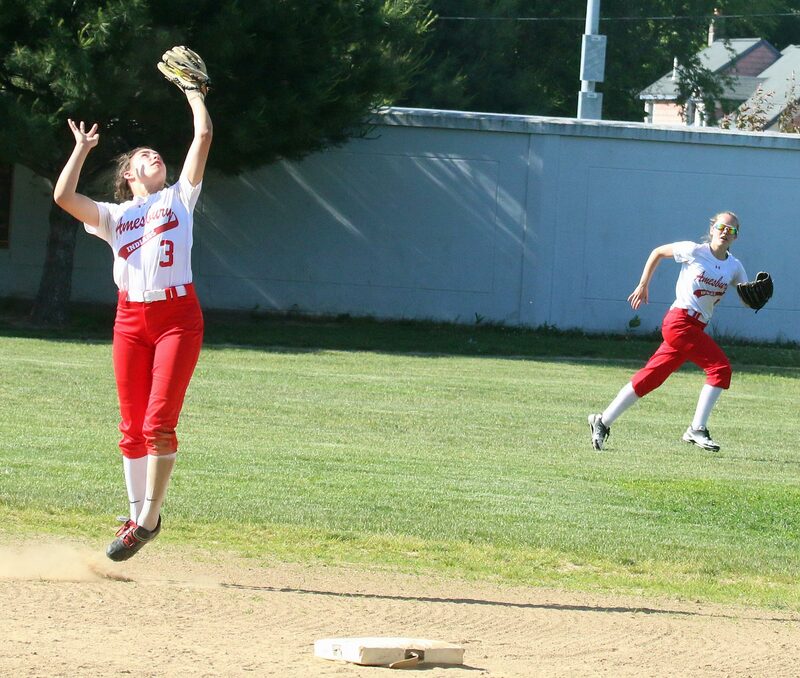 Hayley would also round the bases in the second inning when her hard-hit single to left went through LF Allie Wing. 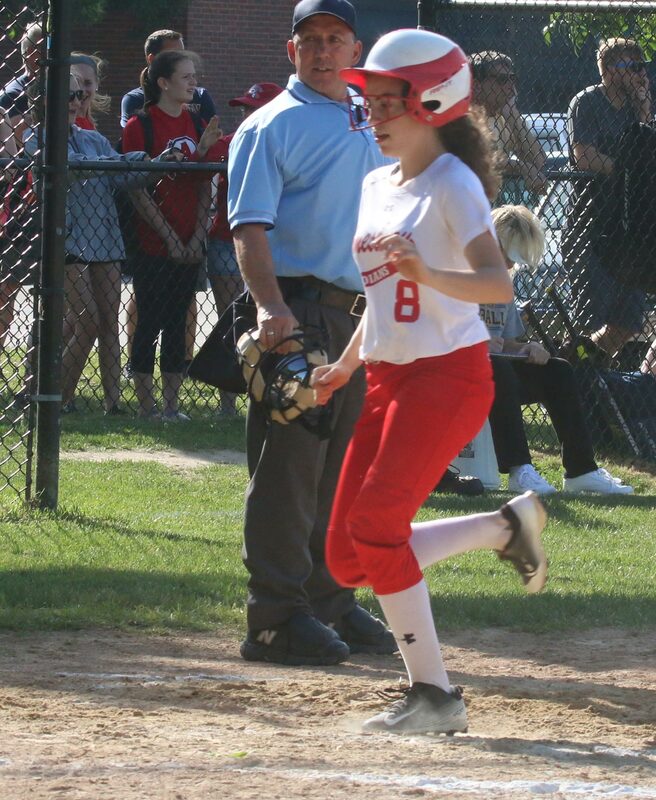 The Pioneers were quick to retrieve the ball and Hayley had to slide into home to score. A while ago the Indians celebrated Seniors Day at their last home game. I assumed that Amesbury (14-8) wouldn’t have any tournament home games. So I asked senior Hayley Catania about her favorite memories of Perry Field after the Senior’s game. Not so fast! The #11 Amesbury won their tourney opener over Shawsheen on the road and #14 Lynnfield did the same with O’Bryant. That brought the quarterfinals game back to Amesbury today. Today I was certain that Hayley won’t be playing on Perry Field again when we talked after the game. 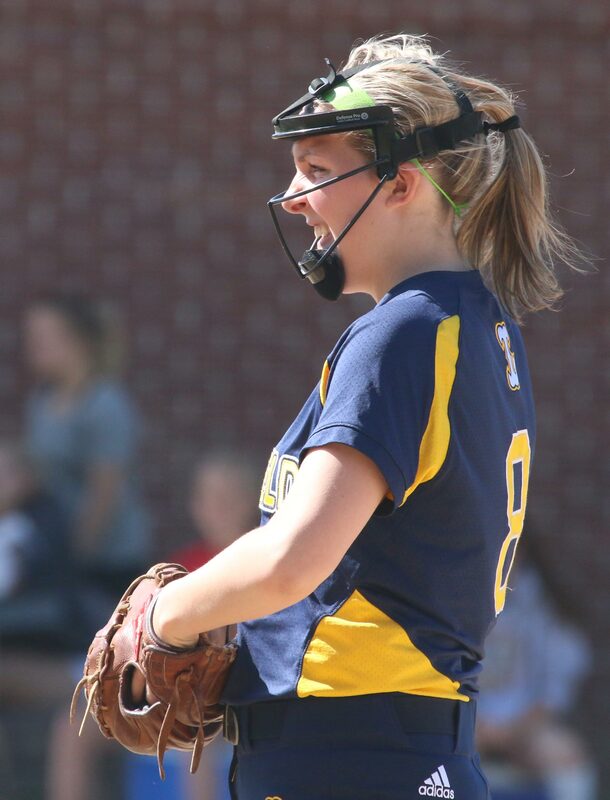 “It was a nice last game here today – to hit well and pitch well,” said Hayley afterwards. LHS freshman Chloe Shapleigh had one of those good and not-so-good games. The good? Chloe was the Pioneers’ leadoff batter and went three-for-three including a long homer to right. Chloe’s teammates had only one hit among them. The not-so-good? The LHS shortstop had four errors by my count. One was on a bobbled grounder but the other three were on throws, two of them to first base. 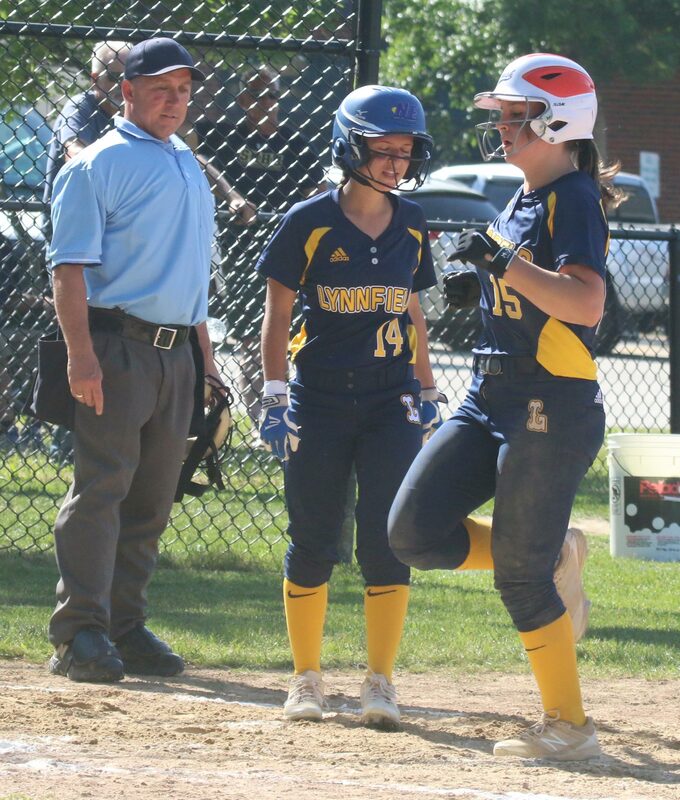 The other throw was an attempted flip toss to third in the sixth inning that went over 3B Jillian Babine’s head and allowed Maddy DiPietro to score the game-ending run. 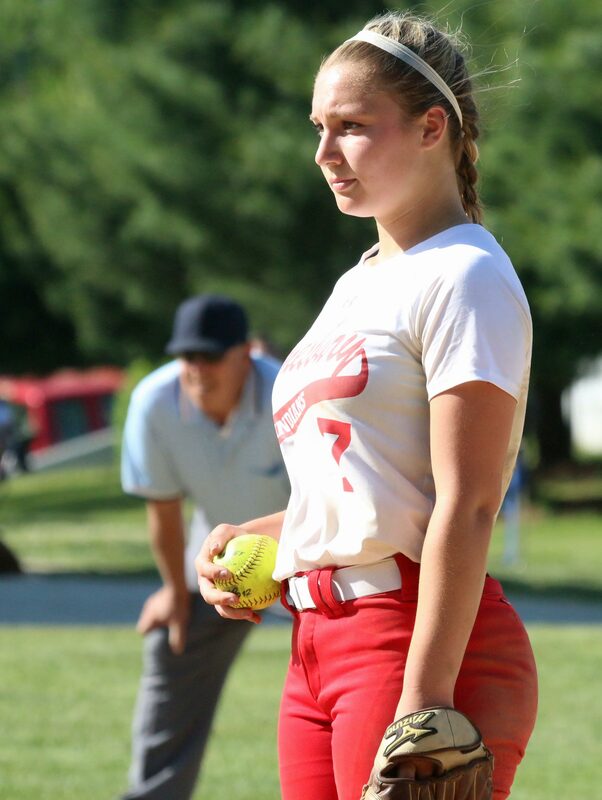 I strongly suspect that Chloe’s defense will improve and will combine with her good hitting to impress Cape Ann League teams over the next three seasons. One of Amesbury’s best shortstops (Maddie Napoli) was home from college and in the house today. 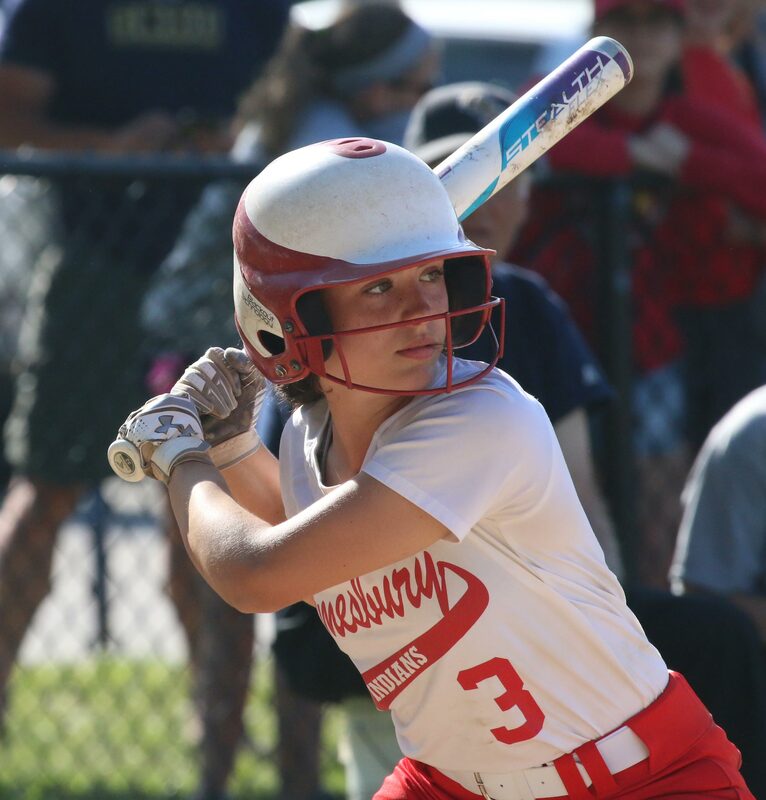 Emma Catania drove in four runs for Amesbury. 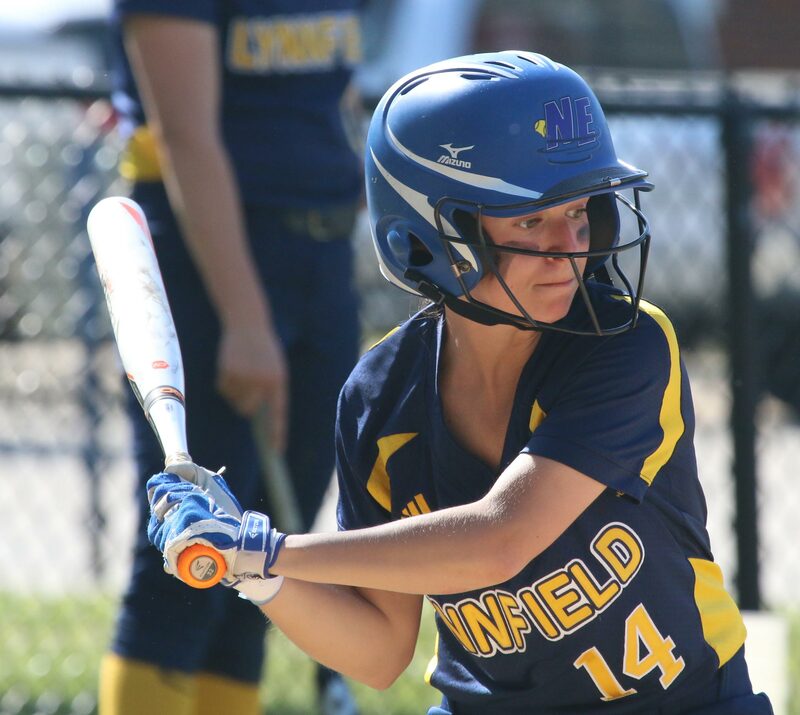 Meg McElaney and Hayley Catania each collected three hits for the Indians. Hayley also scored three runs. 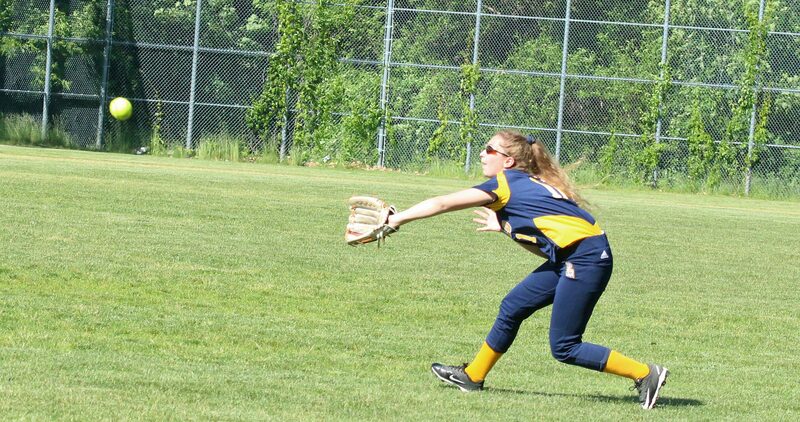 Hayley O’Brien will be attending Fitchburg State next year and expects to play softball there. A little windy at times today but the temperature made for a pleasant afternoon. 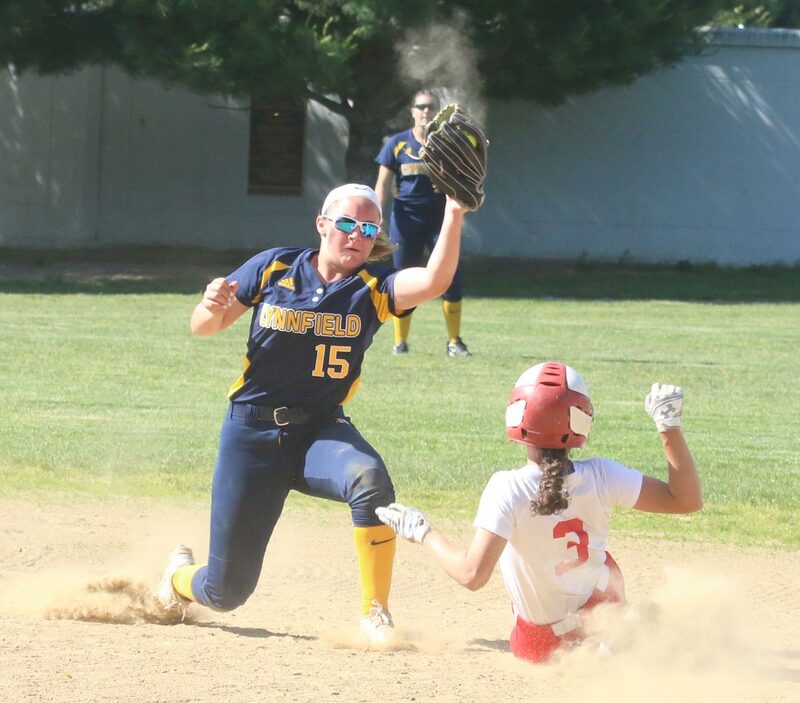 Shortstop Chloe Shapleigh flips toward third base.